Hotel "Legenda" is a comfortable modern place for rest, located in the eastern part of the embankment of the city. 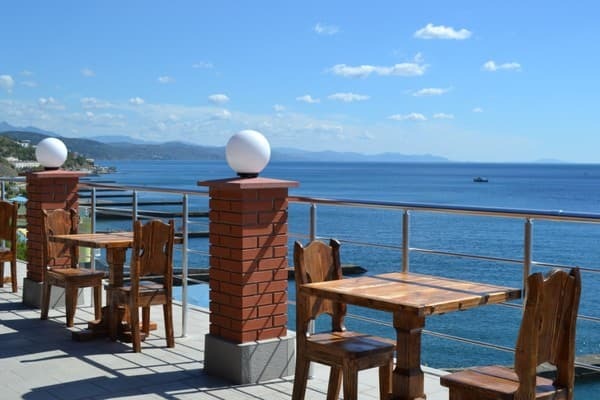 Alushta (opposite the beach "Magnolia") 3 meters from the sea and 10 minutes from the central embankment. 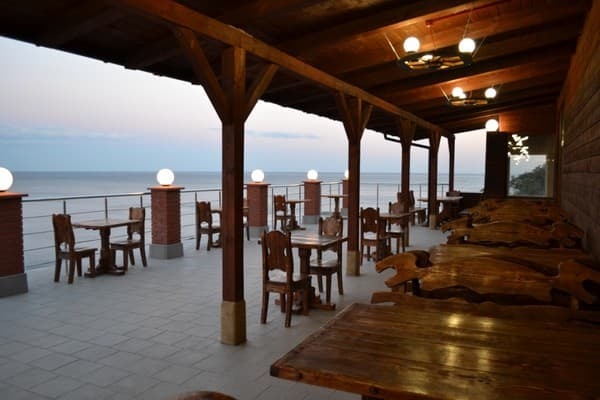 The hotel has 27 rooms, each of which has access to a balcony-terrace with a magnificent view of the sea. 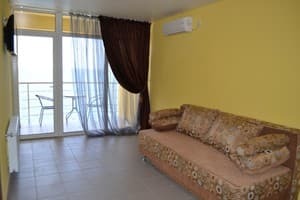 Rooms are equipped with: TV (20 channels), air conditioning, refrigerator, bathroom, as well as a comfortable bed and a sofa, which can easily be transformed into an extra space if necessary. 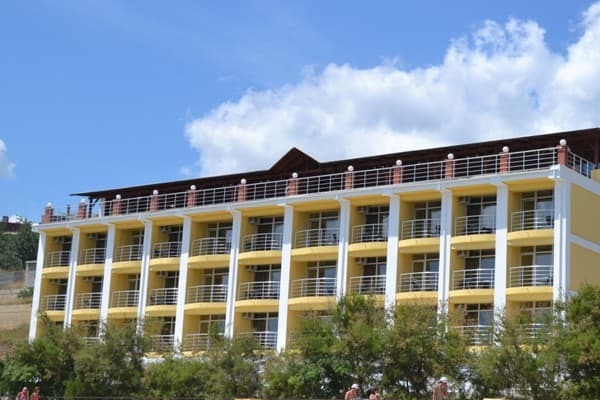 For the convenience of the Legenda Hotel guests there are 9 garages, 25 parking spaces (paid separately), free Wi-Fi. On the top floor of the hotel there is a cafe with an open area. At the request of the guests, exciting excursions on hydrocycles, horseback riding and other entertainments are organized. Description of the room: The room area is 22 m2. The room is for 2 people. 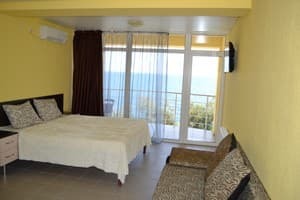 All rooms are "Standard" with a view to the sea. 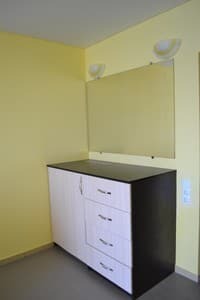 In the room: shower, air conditioning, TV (20 channels), refrigerator, balcony, room-service (24 hours, charge), extra bed (folding chair), daily cleaning. Description of the room: The room area is 25 m2. The room is for 2 people. All rooms are "Junior Suite" with a view to the sea. In the room: shower, air conditioning, TV (20 channels), mini-bar (free of charge - 1 bottle of water, on request), balcony / terrace, room-service (24 hours, extra charge), extra bed (sofa bed), cleaning in room - daily. Description of the room: Room size: room 1 - 22 m2; room 2 - 20 m2; balcony 2 - 4 m2. All rooms are "Junior Suite 2 rooms" with a view to the sea. In the room: shower, air conditioning, TV (20 channels), refrigerator, balcony, room-service (24 hours, charge), extra bed (sofa bed), daily cleaning. Children under 5 years stay in the room with their parents free of charge without providing a separate place and food. The cost of additional space is 165 UAH per day. There is a summer cafe on site. 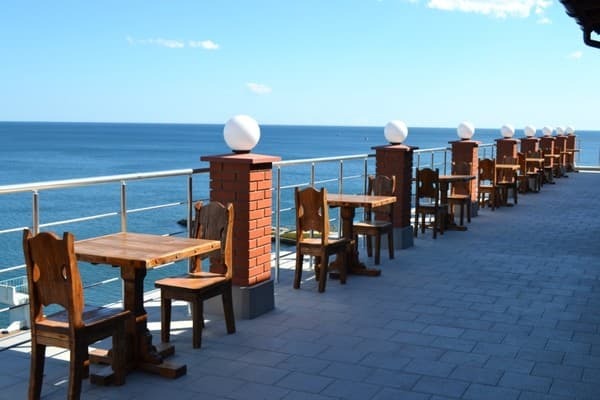 city ​​of Alushta, st. Perekopskaya (Eastern Embankment, opposite the beach "Magnolia"). You can take the bus number 8D to the eastern embankment (opposite the beach "Magnolia") or a taxi.